The liberations are a system designed to reduce fear and enhance the connection to divine or God-Self. This shifts the mind from destructive thoughts and choices into those aligned and harmonious with the body, mind, spirit, and God. The liberations come from within, by tapping into the supreme consciousness that resides in each of us, we activate a template for healing that is until now dormant. The liberations once activated enhance all levels of relationships from those with nature, to our friends, family, co-workers, inner-self, and God. 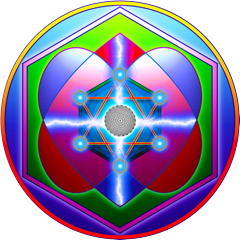 Once liberations begin, the individual will pass on the benefits, shifting those around them into harmonious alignment as well, becoming a channel for service to the rest of humanity. The process of awakening enhances all of your gifts to their fullest potential. Whatever you are good at now you’ll become great at as you awaken to your God-self. This is the gift I give to all those who want to experience the divine self and their full potential of God given gifts and powers. If you want to begin the awakening process, or commit to a deeper connection with your divine, sign up for one of the Liberations Premium Packages. This package is designed for awakening the first stages of liberation. Each session runs for one hour. This package is designed as the next step in awakening liberation.